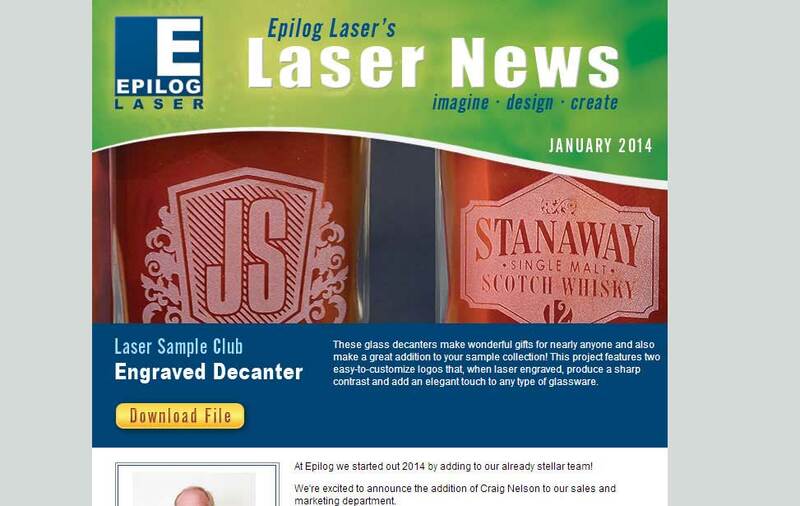 Learn how Epilog's laser marking systems are benefiting the industrial sector. The ability to customize specific items, protect intellectual property, and include a higher level of safety measures is leading to the growth of laser engraving for industrial applications. Beyond use for small businesses looking to add a logo or specific branding to in-house items, laser engraving offers a way to leave permanent marks on an item in the industrial segment, providing checks and balances against counterfeit products or replicas. Laser engraving is a process where a laser beam physically removes a surface layer of material to expose a cavity that reveals an image the eye can view. In the case of fiber lasers, laser generation begins by pumping intense diode light into the end of fiber optic cables that have been doped with a rare earth element ytterbium. The energy from the diode light is absorbed by the ytterbium in the fiber optic cables and then released in the form of photons that travel down the optic cables. 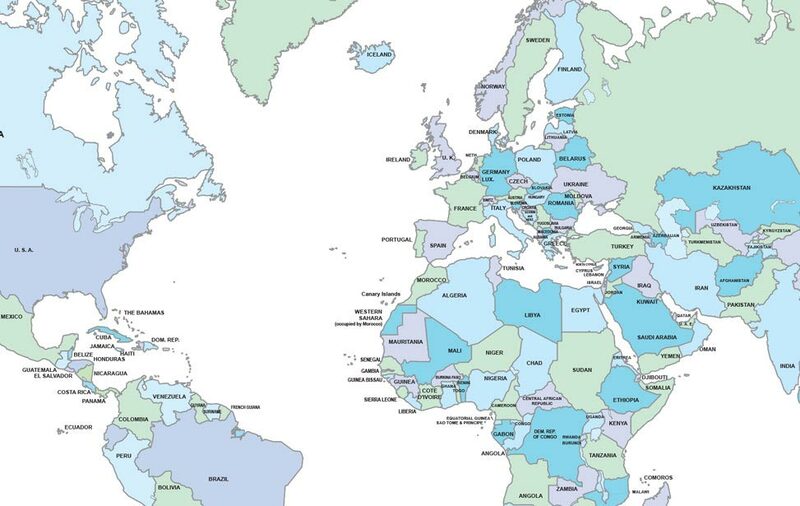 The photons that leave the optic cables create the laser beam at a wavelength of 1062 nm. The process is quick, and most laser engraving machines work with almost any kind of metal and many engineered plastics. One of the biggest segments in the industrial market for laser engraving is in the identification security segment where laser engraving is ideal for credit cards, ID cards, sensitive documents and other items that require increased safety measures. In ID cards, multilayer formats are used to alter the color of the lower layer’s pigments without affecting the top transparent layer. 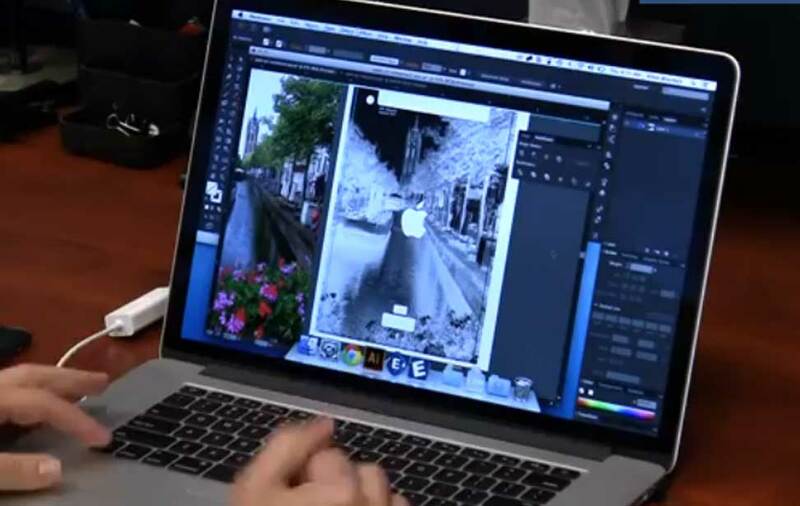 This ensures a product is safe from fraud, produces high-quality images and text, and is tamper proof, traceable as well as customizable for each organization’s needs. But this is just the beginning of what laser engraving offers to industrial businesses looking to improve their operations. 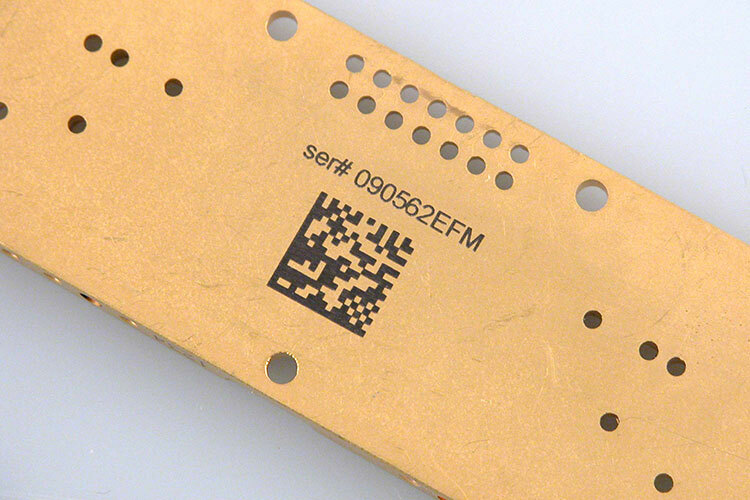 Laser engraving can provide serial number engraving, time stamps, part numbers, component labels, barcode etching, data matrix code markings, branding, and industry-specific codes. Laser engraving provides a very high-quality mark that is easily read by barcode scanners, RFID scanners or other inventory tracking tools. Not surprisingly, laser engraving has become an important tool in part identification, inventory control and tracking, safety and warning notification, as well as loss prevention. 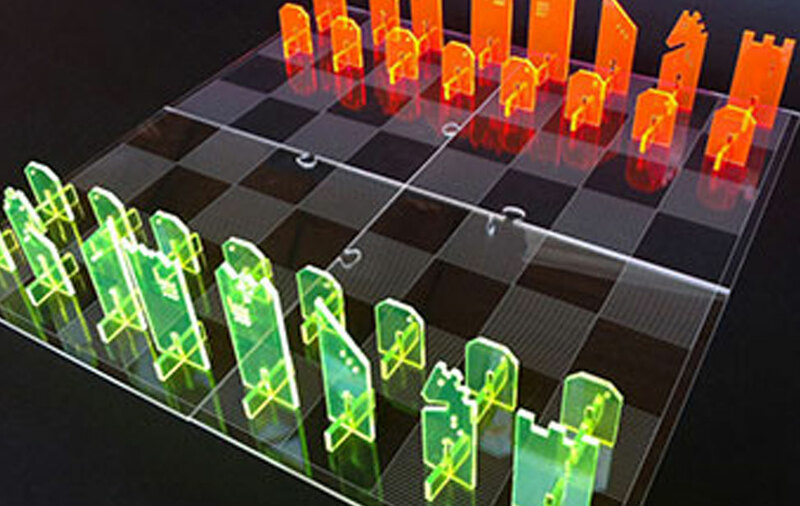 As a result, many new industrial segments – including in robotics, 3D printing, inventory management, banking, security, government agencies and the automotive sector – are beginning to flock to laser engraving in order to provide an added layer of security. 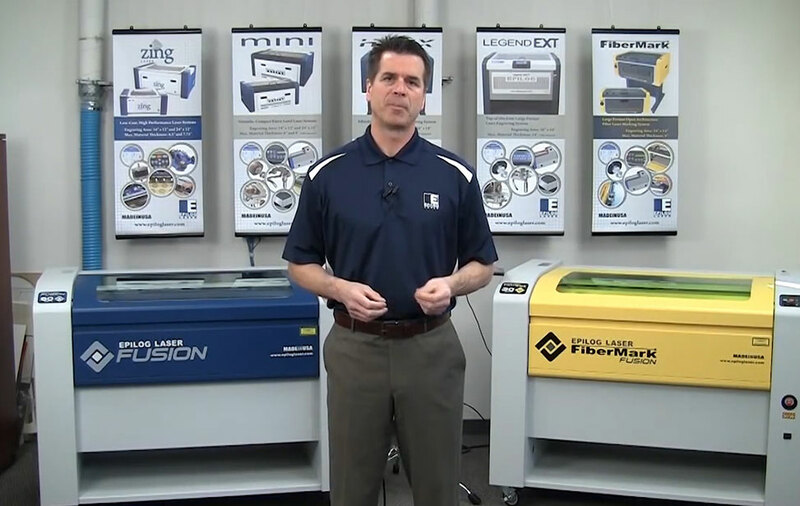 There are a variety of benefits to using Epilog Laser systems for engraving industrial marks. First, a fiber or Galvo system can laser etch nearly any bare or coated metal including stainless steel, machine-tool steel, brass, copper, nickel, silicon, titanium, aluminum, carbon fiber, and much more. Regardless of what type of metal an industry is using to make specific parts, a fiber or Galvo system can certainly mark it. Secondly, whether you are engraving one piece at a time or a table full of components, laser engraving has it covered. 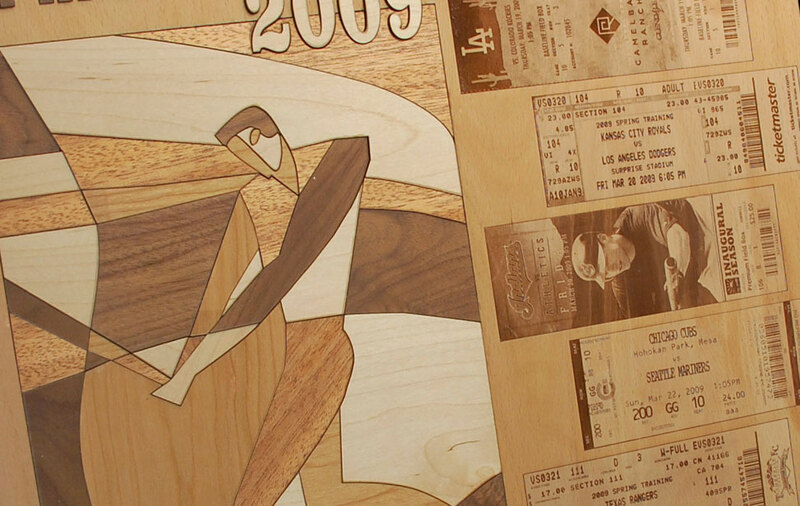 Depending on the piece size and table size, laser engraving allows for hundreds of pieces to be engraved at one time. This is especially important when making ID cards or engraving barcodes on specific parts that need to be done quickly. Lastly, large parts may be cumbersome and difficult to engrave, however, some machines such as the Fusion M2 40 fiber laser engraver from Epilog Laser, can engrave even the largest parts and tools up to 40” x 28” x 12.25”. The laser engravers that are most commonly used for the industrial sector are the aforementioned fiber laser systems or Galvo systems that are designed primarily for bare-metal marking. 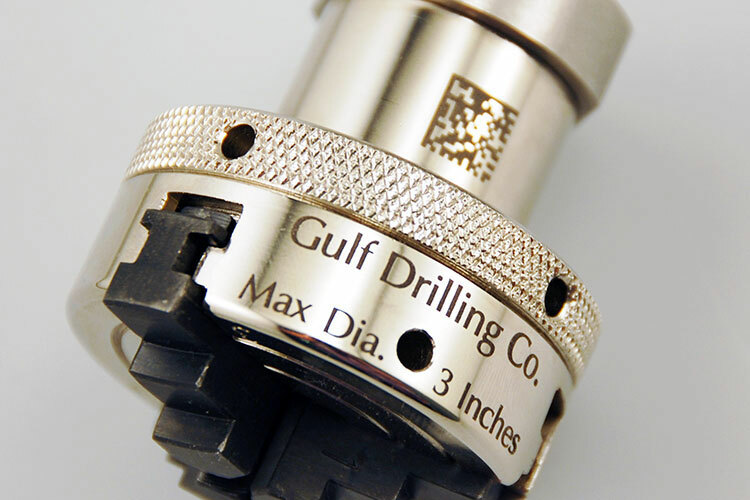 Galvo systems are typically faster at the laser engraving process but tend to be smaller. Epilog Laser’s new G2 is the first Galvo laser system that can laser-mark over a larger work area without compromising quality or requiring product indexing. The G2 is an air-cooled, pulsed-fiber laser that engraves at fast speeds over an adjustable engraving area that spans up to 24” x 24”. In traditional Galvo systems, users were either limited to a small work area with a set focus range or they needed to have the safety capabilities in place to have a Class IV open laser in their business. 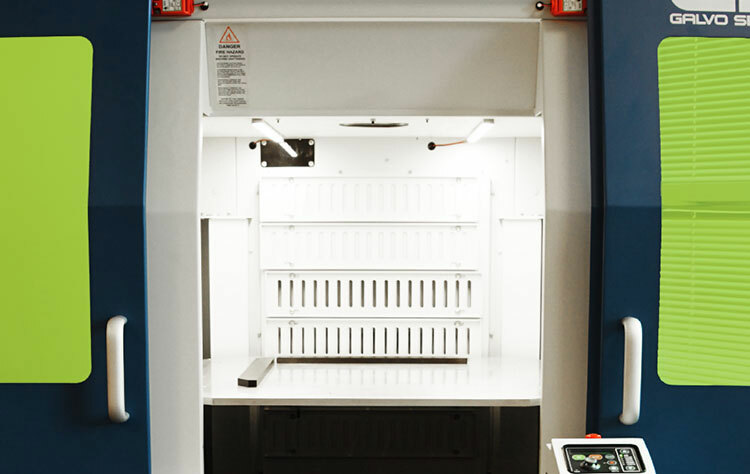 The Epilog Laser G2 removes these limitations by adjusting focal height and beam delivery with a dynamic-focusing lens technology for safely engraving even the largest of parts. While fiber laser systems aren't as speedy as Galvo systems, they offer generous work spaces, ideal for marking a table full of parts/components. 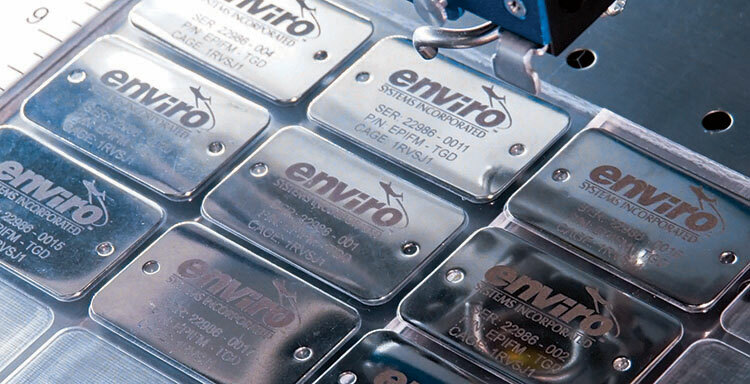 Whether an additional layer of security is needed to prevent fraud or duplication of intellectual property, or an industry just needs to accelerate the time it takes to etch bar codes or other identification tags onto specific parts, Epilog Laser provides the machines that speed up time-to-market with ease-of-use that won’t require any heavy lifting or much training. 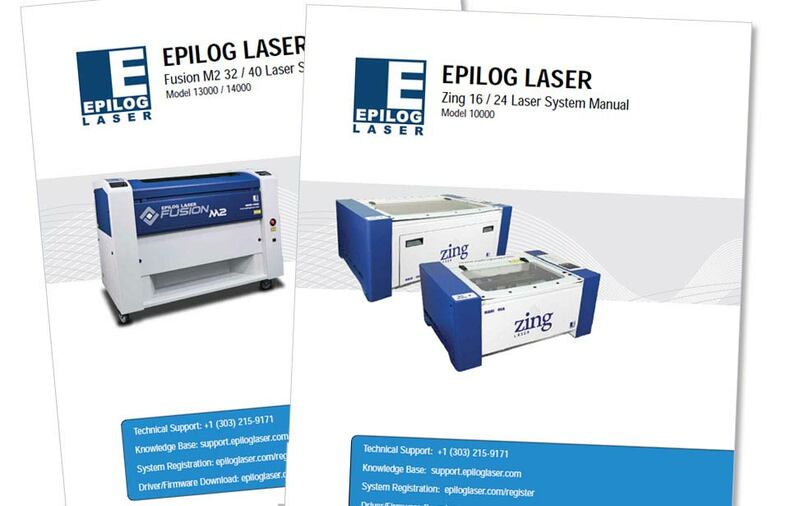 If you’re interested in more information on Epilog’s industrial laser systems, contact us to set up a demonstration with the distributor in your area to see which option is right for your situation. Could you use a laser to help with your industrial marking needs? Fill out the form on this page to receive a full product line brochure with engraved and cut samples, or call the number below for more information.